Continuing what we begun yesterday, I thought today I would share with you some of my favourite music – in particular music to incite the chills of Halloween! You can never go wrong with The Cure or Joy Division. Perhaps you could give Iggy Pop’s The Idiot a spin… Or if you are after something a little obscure, check out And Also The Trees. 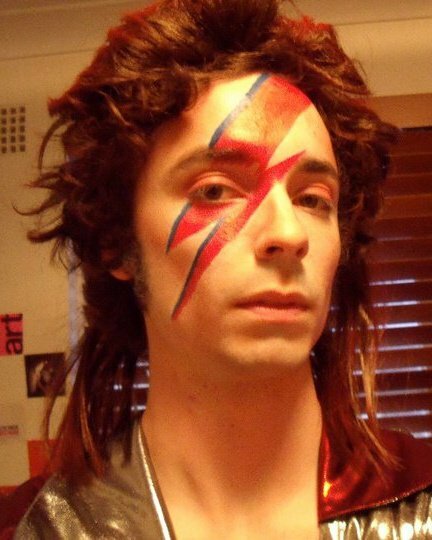 So monster mashers, here is my next costume, from 2010, Ziggy Stardust himself – David Bowie. But we can’t stop trying ’til we break up our minds. Who press you on the ground while shaking in fright.